Our proposed round-trip is based on what we consider to be the highlights of this region in nature-based experiences from Trondheim south to the inland mountains and to the coastline of Western Norway. Best of Norway is the name we have given our concept of round trips. This trip is based on a five days journey from Trondheim Airport Værnes and back. We have included a rental car with extra space, meaning you can rent equipment as bikes to bring on your trip. The route we have outlined has short traveling distances each day, but you must enjoy being on the go to fit in all the nice places. Price Hotel: From NOK 5107,50 nok p.p in double room. Price Budget: From NOK 4454,50 nok p.p in double room. This trip starts in Trondheim. AVIS has depots at Trondheim Airport Værnes and in downtown Trondheim. Drive south towards Oppdal. 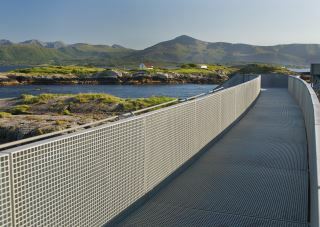 From the coast to the inland – from the fjord to the mountains. Oppdal is created for recreation. The town is surrounded by three national parks with a rich birdlife, mountain landscape and all sorts of weather. Dovrefjell National Park is the only place in Norway and one of only a few in the whole world where you can experience the musk ox. 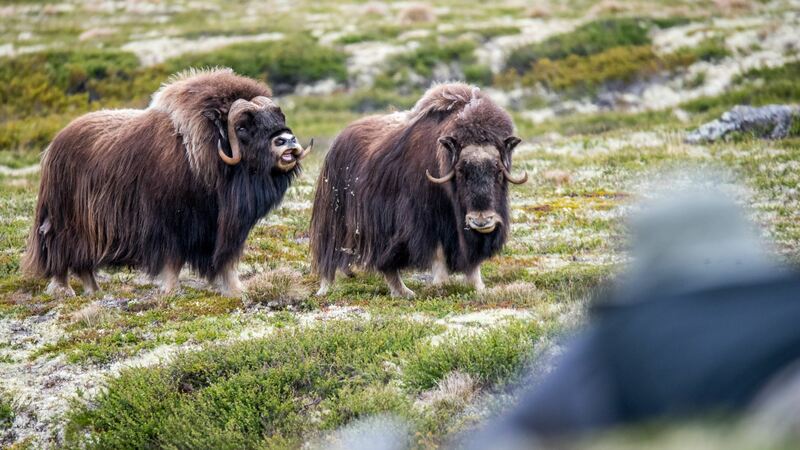 This trip includes a guided musk ox safari so you can get a glimpse of the impressive musk ox at close range. The following day you can take on a moose safari, which is also run by Oppdal Safari in Oppdal. Other options on offer include rafting and canyoning on the river Driva, a canoeing trip and a guided photo safari in the area. This year’s new attraction in Oppdal is the artisan bakery "Bakeriet Sprø og Smak og behag". We can recommend the famous “kanelsnurrer” (cinnamon rolls). Depending on what you are interested in and the weather forecast, we recommend considering one of two options this day. If you are an early bird and like to drive, it is possible to do all in one day. Aursjørunden is a drive that goes from Sunndal south through Litjdalen and into scenic Sunndalsfjella National Park - nice mountain scenery and wild steep valleys. On this amazing trip you can experience alpine mountains, well maintained trails, Aurstaupet, Mardalsfossen and Eikesdal Lake, Dovrefjell Sunndalsfjella Nationa Park, carvings, mountain farms, Aursjøhytta, Nesset Prestegard, Visningsverk Statkraft and much more. If time permits, head towards Molde, also referred to as “town of roses”, to experience the pleasant shopping streets and maybe visit one of the many restaurants for a nice meal. It is possible to choose among several recommended walks and maybe stop by the Romsdal Museum. From Molde continue via the Atlantic Scenic Road and experience the wild coastal line to Kristiansund. Here you can choose to stay, unless you choose to drive directly to Smøla to spend the night there. You will arrive at a bird paradise. 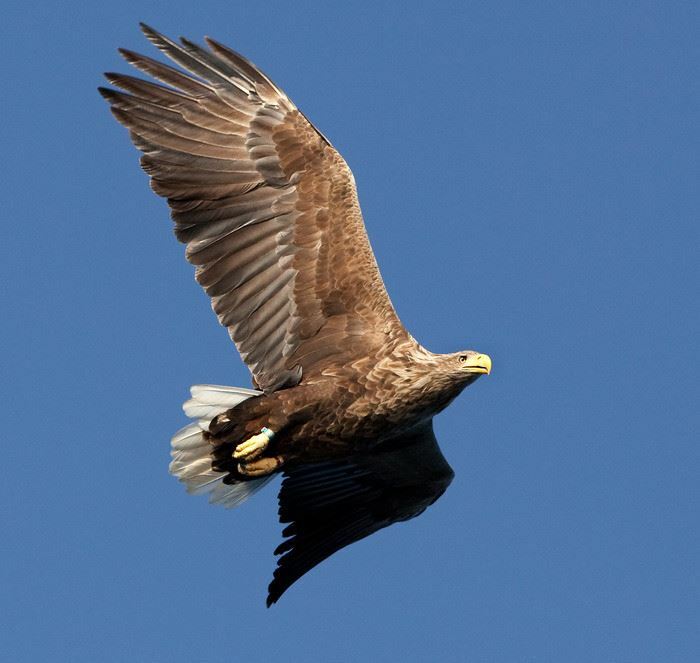 Smøla is an island that offers many nature-based experiences, but we will put forward the eagle safari as one of the island’s main attractions. 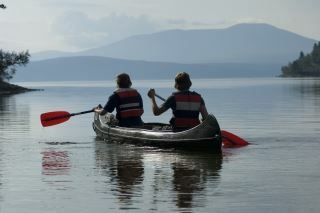 Smøla Naturopplevelser offers this and other activities for the whole family. Trondheim has much to offer, but if you have not seen the Nidaros Cathedral then this is an obvious stop on the last day. In recent years, Trondheim has become an excellent city for cycling. It’s easy to get around by bike. Be sure to catch a late flight from Trondheim Airport Værnes to get the most out of the day! 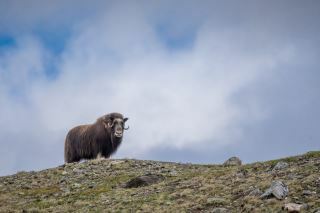 Musk ox safari Dovrefjell kl. 10.00-17.00. 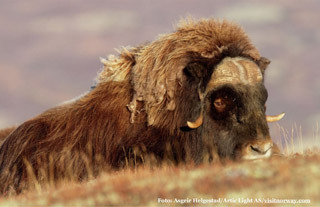 You will follow the guide with your own car up to Dovrefjell National Park. You will visit the mighty sea-eagle! Then you will drive to Trondheim to spend some time in this fantastic city. Spend the day to explore Trondheim.